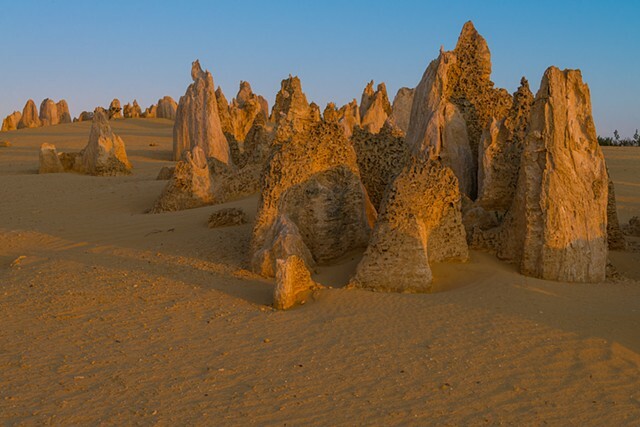 The Pinnacles are limestone formations in the desert. There is a huge number of them and the variety of shapes make it a very interesting place, particularly when the sun is low in the sky. It's a couple of hours north of Perth.